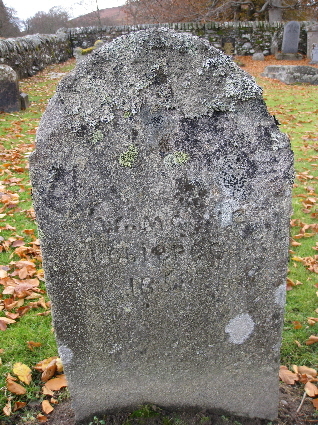 William McGregor, farmer, died at Woodhouses, Bohespick (i.e. Tighnacoille) on 25th January 1858 aged 85 years. Parents given as William McGregor, farmer, and (unknown) Kennedy. Death certificate witnessed by his son, William McGregor. His son's marriage certificate shows that he was married to Isabel Maclean. They were wed 19th January 1806, and both came from Bohespic, but the Macleans were living in Tighmore at this time.